Mom's Heart: What is Relaxed Homeschooling? 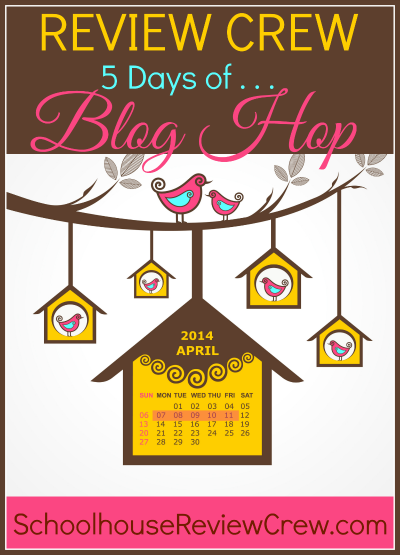 I'm excited to be participating in the Schoolhouse Review Crew's 5 Day Blog Hop again! 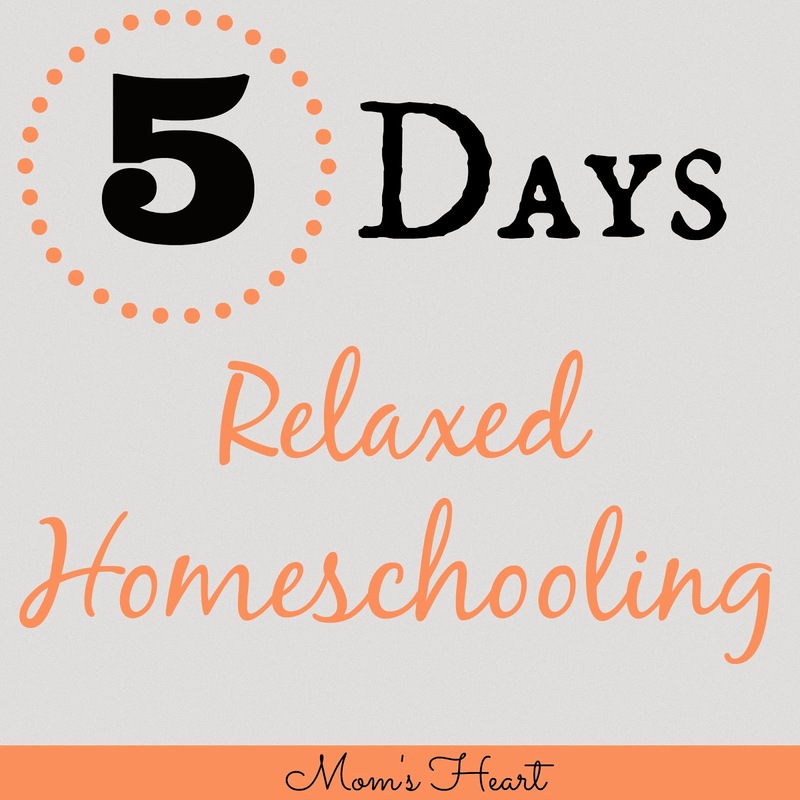 These have been so much fun in the past, and this time I am sharing 5 Days of Relaxed Homeschooling. I wanted to discuss Relaxed Homeschooling, because when I am among local homeschoolers, I feel out of place. I am definitely the most non-traditional homeschooler in the room. That's okay, I don't mind being different. The most important thing is that I know I'm doing what is right for my kids right now. Things may change, but this is now. Anyway, I thought I'd share a little bit more about what we do, as well as the why and how we do things this way. I say Relaxed Homeschooling for simplicity, but I like to think I'm Relaxed Charlotte Mason. Charlotte Mason was my first love, and I spent years researching it. I began implementing age-appropriate methods from the beginning. I believe Charlotte Mason is a beautiful philosophy, particularly for the preschool years, with it's informal and gentle introduction into the beauty of the world through nature, art, music and fine literature. I've even written a series on Charlotte Mason Preschool. However, I think the gentle rhythm of those preschool years can be used for older students, with an appropriate increase in intensity and structure. I needn't be a purist to see and realize the beauty of a philosophy. We still incorporate living books, nature study, copywork, art, music, narration and other elements of the Charlotte Mason method, but within the framework of our more Relaxed nature. So, here is how Relaxed Homeschooling (with a Charlotte Mason flair) looks in our homeschool. My Philosophy of Education, if you will. Children are born to learn; they are always learning and we do not confine "school" to certain hours of the day, days of the week or or core subjects. It's not just about the book learning. What it comes down to, for me, is valuing the natural rhythm and needs of the child. Throughout the week, I'm going to give you a peek into our day, so come back to see our relaxed approach in action! Today, check out these other fabulous bloggers who are bringing you some amazing topics. . . I am a textbook kind of gal, so this intrigues me! Looking forward to following you this week and seeing how you do things. Thank you for sharing. While we use textbooks, test and all I think our style is very relaxed. We just plow through a bit each week. Focusing on learning not just getting it done. Yes, I can honestly say I don't worry about "getting XYZ done by a certain date" so I never schedule anything anymore. Great post, and oh so true...though I'll admit, I have a hard time relaxing as much as I know I should. I have gotten a lot better than when we first started though! It does take time. I know this is the direction I want to go, but sometimes I still want more "control" than it requires! Right now it works for us, but I am beginning to be much more relaxed about our time off and starting and ending date. I am even leaning toward year round schooling. I definitely think year-round schooling helps relax the schedule and the atmosphere! We sway between relaxed and more structured. After a winter season of relaxed I'm back to structured. I want to go back to relaxed! Yes, we have times where we're more parent directed, but for us it's in the winter! :) When the weather is nicer and we're traveling or just outdoors more, we're much more informal and unstructured! Oh man I love your philosophy! :) Sounds perfect to me. Really great series! Kids really do learn all day long.